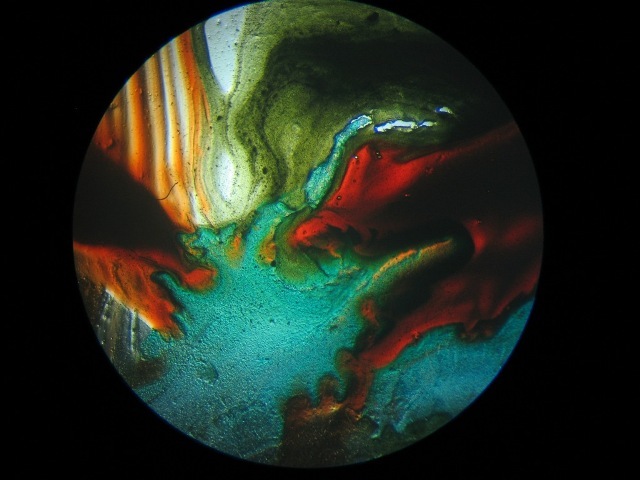 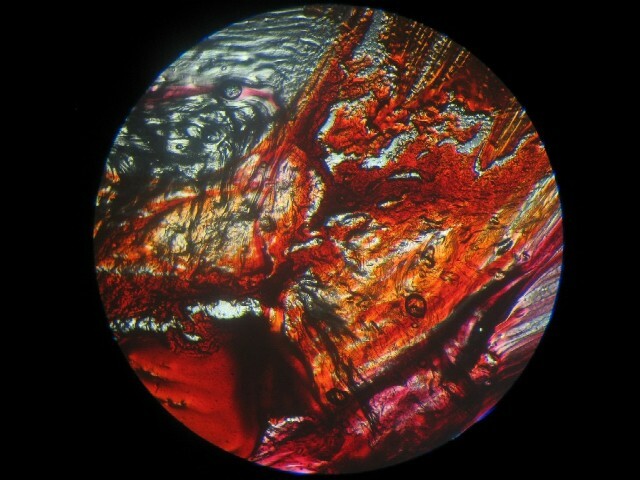 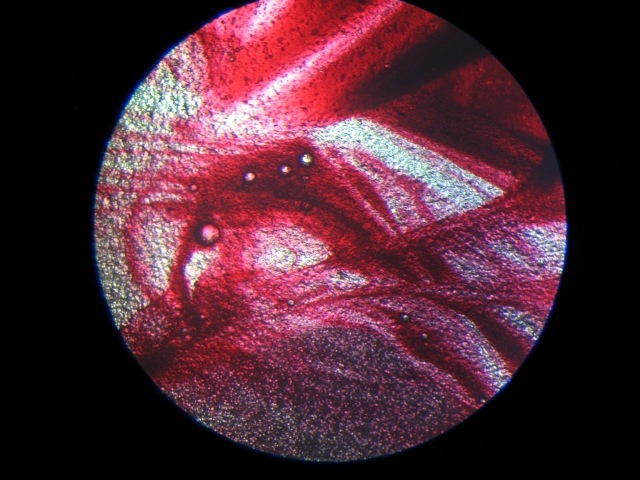 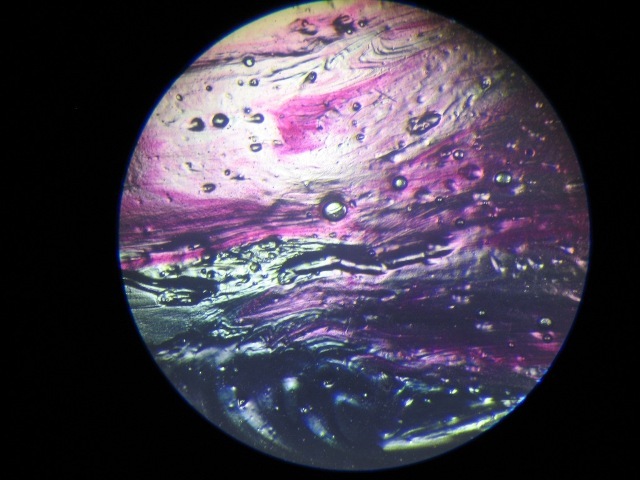 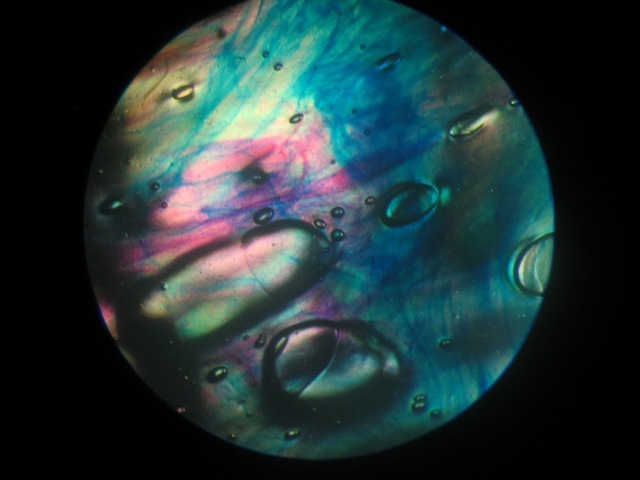 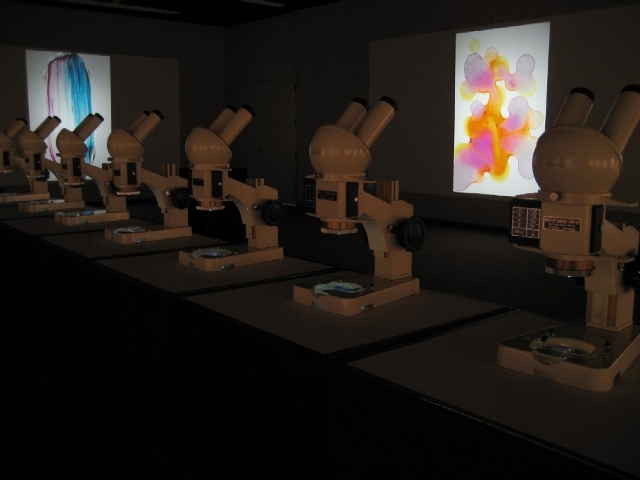 A series of hand-painted microscopy slides are displayed using stereoscopic desktop microscopes. 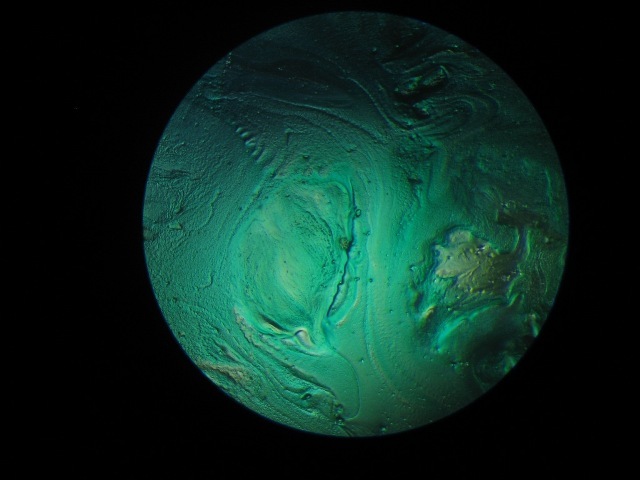 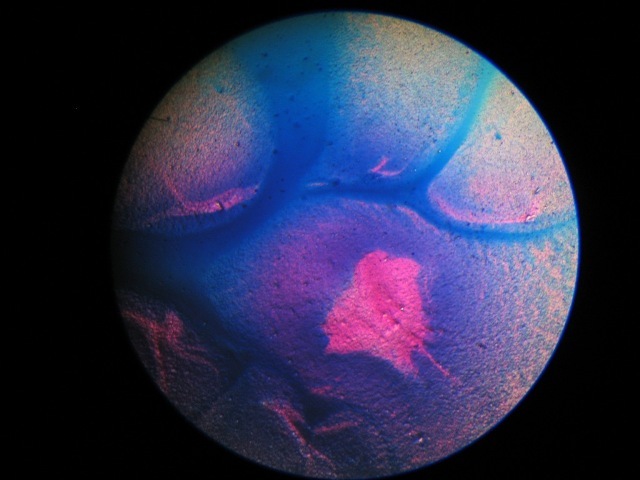 Three dimensional images are transformed by spectators who are invited to move from microscope to microscope and scan their way through the images by adjusting the control knobs on the microscope stage. 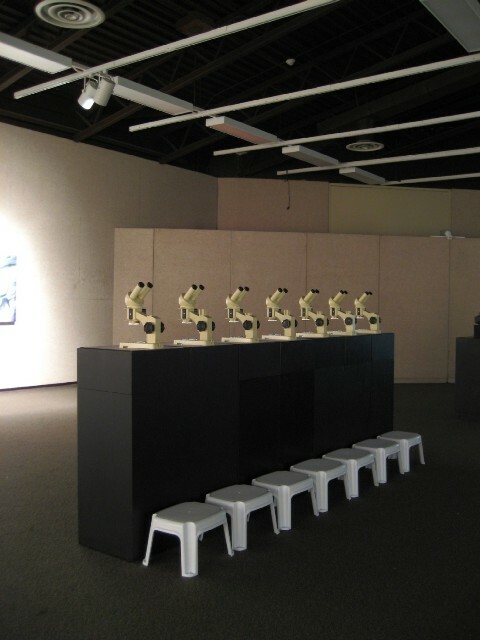 Each spectator creates their own viewing experience that is not visible to others attending the same exhibition.